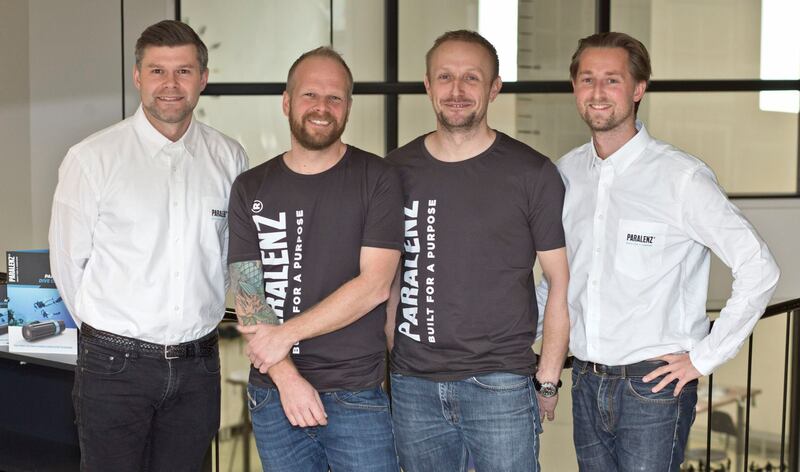 From left to right: Christoffer Caspari (business manager) Michael Trøst (partner), Martin Holmberg (partner) and Kristoffer Kjelstrup Sabroe (CEO). Business development experts: In 2001 founded Kristoffer Kelstrup Sabroe, Michael Trøst and Andreas Pank the “MOdel & EFfect Factory” in Copenhagen, Denmark. The company produced special effects and visual concepts for advertising, films and exhibitions. From the very beginning we had one goal: to be a creative house for ideas and concepts across industries. Five years later, Martin Holmberg became a partner, and we established our design department. We changed focus towards product development and concept creation gradually through the years and because of our new strategi aim, we shortened our name to “MOEF”. Over the last 15 years, we have made solutions for several of the biggest 20 Danish companies like container mogul Maersk Line, Carlsberg breweries, Danske Bank, the football club FCK and Coloplast. We have had the pleasure of providing solutions for learning and communication designs to museums, schools and we have created award-winning products. The combination of visual concepts, marketing and product development led eventually to a core focus on innovation. Innovation happens when a new and unique product penetrates the market and make a significant difference and we have developed our own high end technology products such as fishing camera Water Wolf and the diving camera Paralenz. We are experts and deliver solutions in three areas: Business development and strategy; Product development and innovation; and Communication and sales concepts. To contact us please Christoffer Casparij or Kristoffer Kelstrup – you can see their contact information here – remember the Danish prefix is +45. You can also send us an email.